For the month of June, I was given the opportunity for a second time to teach the in-store yoga classes at the Burnside Lululemon store on Wednesday evenings. A few months back I had experienced what it was like to teach these classes at the city store and this time around I would be teaching at the other SA store situated inside a shopping centre with a very different demographic. The Burnside store opened in November 2014 inside the Burnside Village Shopping Centre and they offer free in-store yoga classes to the community every Wednesday night. As my classes were well received at the city store I was invited by Lululemon to teach for the month of June and of course, I jumped at the chance to accept their offer. As it's a much smaller store than the city location the class size was around 20-25 each week which was a much more intimate and relaxed environment. I did have quite a few students who were brand new to yoga but I found that it was a mix of beginners/intermediate students which meant that I could add a few harder poses and vinyasa flows into my classes. Integrating breathing techniques and chakra/astrological meditations where a few added benefits for the students. I found quite a few students loved the relaxation at the end and would also be intrigued by each week's astrological meditation. So many students told me that it deeply resonated with them and explained why certain situations/events were playing out in their lives during this time. Thank you again, Lululemon for giving me the chance to teach the in-store classes which allowed me to learn more about myself as a yoga teacher and to deepen my style of teaching. It's such a blessing to be apart of an organisation that really supports and promotes yoga teacher's in the community. For the month of March I was given the opportunity to teach the free in-store yoga classes at the Adelaide City Lululemon store. 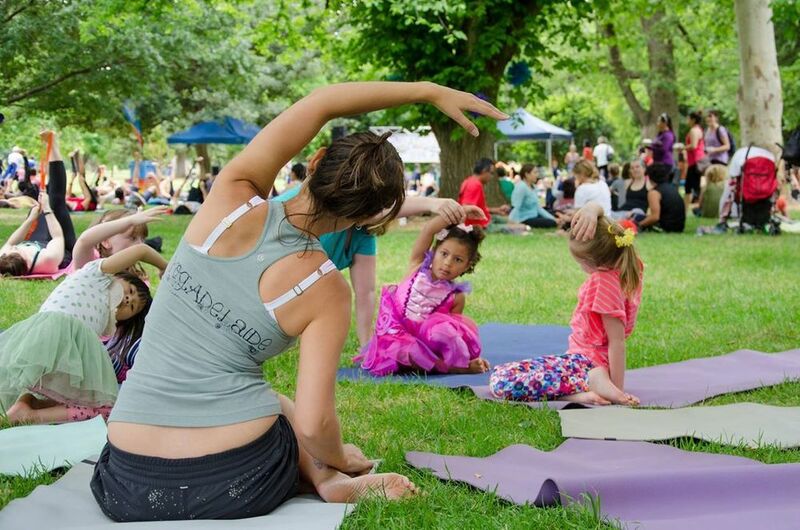 These free classes make yoga accessible for everyone to come along and try. As a yoga teacher I can’t tell you how great it feels to be able to give back to the yoga community by teaching these classes. I had been briefed by the girls at the store that the class size was round 60 students. I was a little sceptical as surely they couldn't fit that many people on the floor space but astonishingly that's exactly how many people came to not one but all of my classes every Tuesday evening. At 5.45pm there was a crowd of people lining up out the front and when the doors opened a rush of people came though finding their mat in the space. Going into these big classes I had been told that student's were mainly beginners, either new to yoga or never having done a class before. I teach a gentle hatha flow style of class so this turned out to be perfect for this demographic that came though the doors each week. I noticed a few regulars returning each week and after every class students would come up to me asking yoga related questions, thanking me for teaching the class and asking me about my astrological themed meditations. I remember my first class that I taught a gentleman who had never tried yoga before came up to me after the class and thanked me as it was exactly what he needed in order to stretch his body and also it was at a pace that he could handle. He returned to all of my classes and would sit up the front eagerly awaiting for the class to start. As a teacher I learnt so much about myself and my style of teaching. Most importantly I learnt how to project my voice and be heard which was a huge accomplishment for me as I am quite softly spoken by nature. I also learnt what poses you can and can't teach in a crowded room with limited space between each mat. Let's just say holding balancing poses for too long will result in a domino effect if one person falls out of it and then falls onto the person on the next mat! As March has 5 Tuesday's this year (which is quite rare) I was able to teach 1 extra class. My last class for the month was bitter sweet, I no longer felt nervous when I took my place on my mat in front of the huge crowd in front of me but I looked out to my students with confidence and a desire to help them on their yoga journey. After reading my meditation and with the final word of 'namaste' I was surprised and overwhelmed to hear a round of applause and as I opened my eyes I witnessed the whole room giving me a standing ovation. Never have I experience this before and as a relatively new teacher it reinforced in me that I need to stay true to my style of teaching and that I am healing people on a much deeper level that even I wasn't aware of. Thank you Lululemon for giving me the chance to share my style of yoga to the community and I hope to be back again teaching more in store classes.